Here I list down five main reasons why I bought an insurance and why everybody should have one too. P/S: I am not trying to sell anything here, just stressing out something important that everyone should know. For My Own Protection – When I was about to resign from my job, I was thinking, what if I suddenly had a serious illness or involved in accident and not able to work and earn any income? what will happen to me? Yes, I still have my family, but would it be fair to burden them? Would I want to burden them? I am not married, so I cannot be asking help from my husband. Will I have enough savings for the treatment and those health related matter? Will I trouble my parents and siblings for that? Sometimes, these thought made me having sleepless nights. With an insurance policy, at least I am covered for my illnesses with adequate financial support for any expensive treatment. For My Savings – I am a business minded person which means that I am very calculative when it comes to my money but there are times that I spend money just to make myself and people who surrounds me happy. 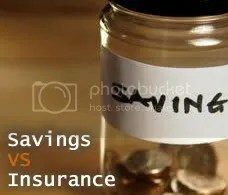 Yes, I do have my own savings in the bank and in mutual funds but with insurance, It’s another medium for me to force myself into saving a few hundred bucks monthly by contributing to my insurance premium and one thing for sure, by receiving my yearly account statement, I know where my money goes too. For My Investment – Partial of my premium will be invested into selected funds with a handsome return that you can’t resist. Absolutely a great way to have extra money and it is safer too as insurance minimize the risk factor on your investment. For My Retirement – With the hope that everything goes well without me making any major claims or withdrawals, I can retire early and receive my investments and live in Paris with my cats. For My Future – When I learned that your premium increases together with your age, I realize that I really need to have an insurance coverage as early as possible. 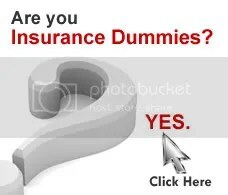 I do not want to wait until I have my own family or other big financial commitments in life as by then, the premium to start an enrollment for my insurance will be very high and insurance company have the rights to rejects or excludes applications with health problems. Among all of the above, the main reason why I decide to take up an insurance coverage is still based on the first reason which is PROTECTION. In case of any accidents or serious illnesses, there will be a strong financial support for myself and my family. A medical card that gives you the basic healthcare that you deserve. PRUclinic care is a regular premium investment-linked medical rider which covers medical expenses incurred at any of our panel general practitioner clinics. Great convenience – With so many panel clinics nationwide, you’ll always find a clinic near your area! Please click here to locate your nearest clinic. Cashless claims process – Making a claim has never been easier. Using this medical card, your visit to the panel clinic to completely cashless – no coinsurance or deductibles! 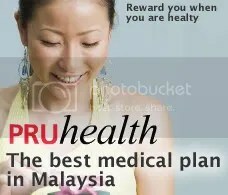 High benefit amount – PRUclinic care covers your medical cost at any panel GP clinics for up to RM1,500 per year! 24-hour support – our dedicated call centre is available 24 hours a day, 7 days a week. How can I take up PRUclinic care? You can take up PRUclinic care when you purchase any of our PRUhealth or PRUflexi med plans. How long is this benefit valid? PRUclinic care will cover your clinical needs for two years. 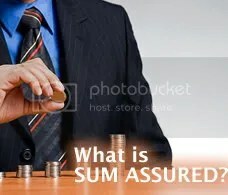 Premiums are payable throughout the duration of the plan. This plan is for those who are aged between 1-60 years old next birthday. How much premium do I need to pay? Please refer to the table above for our affordable premiums! Hot off the shelf, Prudential recently launched its latest medical rider, PruFlexi Med, that can be attached to PruLink One or PruLife Ready investment-linked policies. PruFlexi Med is another alternative medical plan to the existing PruHealth medical rider. In fact, both PruHealth and PruFlexi Med are pretty similar in terms of coverage. Highly customizable medical plan to suit your medical needs – in terms of the daily room & board rate and annual limit. No co-insurance, but can opt for zero or RM300 deductible. No more 10% payment/penalty if exceed room & board (R & B) rate – if you stay in the room with higher than your R & B rate, you only need to top up the difference. If you stay in a room with lower R & B rate, Prudential will reimburse you the difference. Lifetime limit = 20x annual limit. If compared to PruHealth, PruFlexi Med has higher ICU coverage (60d) and pre-hospitalization treatment days (90d).
. Room rate: To be decided on purchase.
. Home Nursing Care 180 days/lifetime. As charged.
. Miscellaneous Highly customizable plan. If you stay in a room with lower R & B rate, the difference will be refunded to you. If you stay in a room with higher R & B rate, you just have to pay the difference. RM50,000 Critical Illness claim due to kidney failure. 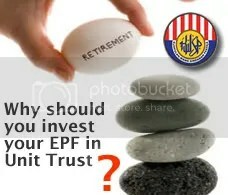 Plus, receiving RM5000 income yearly under Crisis Cover Income protection. Plus! The insurance premium is waived under PRUpayor protection plan. Policy holder waived from paying the premium until age of 80. You got the protection but no more payment taken from you. How to make insurance premium payment online via Maybank2u.com? 1. Login to your M2u account. 7. Where to find Bill account no ? It is actually your policy number which can be find at your medical card. Tagged agent no 1 malaysia, agent no 1 prudential malaysia, ejen prudential, firdaus prudential, H1N1, health insurance, Insurance, insurance for expatriate, insurance for foreigners, insurance malaysia, Kad Perubatan, Malaysia, Medical Card, Medical Card till age 100, Medical Insurance, Non Claim Bonus, Pru Health, Pru Health Malaysia, Prudential, prudential agent, Prudential Assurance Malaysia Berhad, prudential blog, Prudential BSN Takaful, Prudential BSN Takaful Berhad, Prudential Insurance, Prudential Life Insurance, Prudential Malaysia, Prudential Medical Card, PruHealth, PruHealth Malaysia, subang jaya, sunway, What is PruHealth, Where to find Bill account no ?